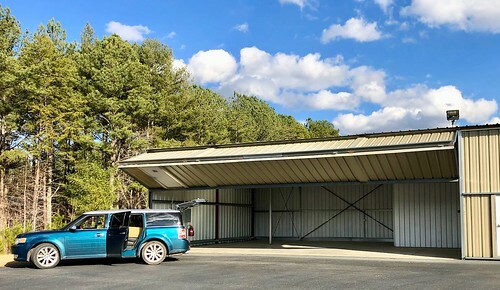 Moving into a newly built hangar at Copperhill Airport in SE TN about 8 years ago was a happy day. It was a BIG job over the last two months, moving out all sorts of plane and household and mechanical stuff that had accumulated over the years. Sold some stuff on eBay, gave other stuff away or donated it. A chance for “cleansing”, as it were. Had not originally planned to give up the Copperhill hangar, but it made little sense to continue paying $250/month plus utilities with the Sky Arrow likely to spend so little time there. 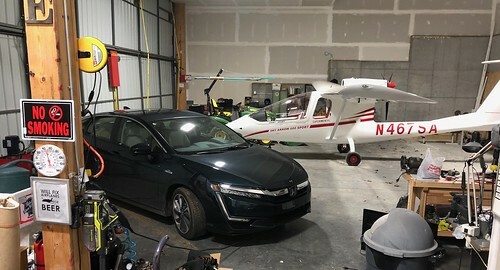 When I am in N GA with the plane I can just tie down, or get into the community hangar for $20/night. A new renter is all ready to move in on the first. Re: The second happiest day??? As you get older, many/most people realize that owning more stuff does not bring happiness. It can actually be quite a distraction from all that is really important. Glad to see you cutting back and simplifying a little. That's part of the reason I constantly teeter/totter about owning another airplane. My goal is to own nothing except some money in the bank. My wife can own the rest. If I ever quit flying, and I'm almost there, I'm getting rid of my Tahoe. It’s tough. Being the child of children of the Great Depression, I think I still have a prediliction to hoarding. 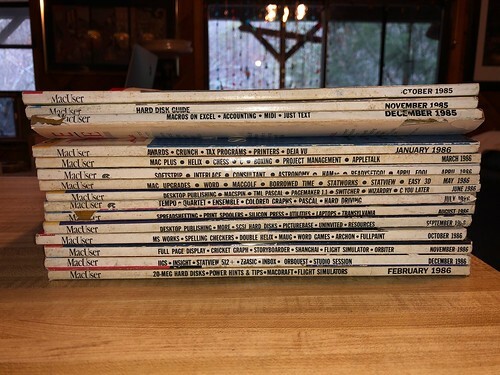 For instance, I had some MacUser and MacWorld magazines from 1985 and 1986. I had carried them from place to place for decades and really never looked at them. They sold on eBay, but not for a lot. It’s been literally years since we’ve played one. Apple Music has the majority of them in the cloud, and the more obscure ones I’ve ripped to iTunes years ago. Probably get what we can for them at McKay’s Used Books and Tapes in Knoxville. For the most part, once out of one’s life, stuff like this is not missed. Let It Go! That clip reminds me of a passage from Vonnegut's Cat's Cradle. Remember Johnson, who founded the Bokononist religion? His father was a missionary doctor in Africa. Standing on a hilltop with his son, he swept his arm out across the panorama of the suffering, dead, and dying, and said "some day, son, all this will be yours." 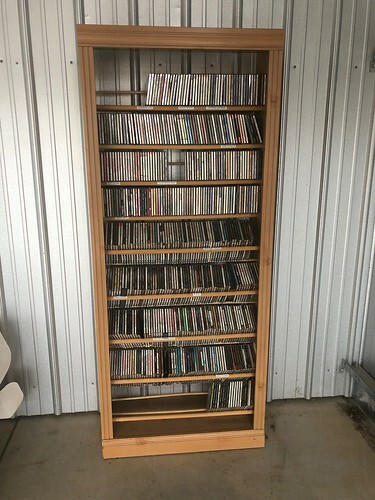 I have a friend who has a lot of colectable stuff, and he is still buying. He jokes that when he is gone it will funeral at 11:00, and sale at 1:00. TimTaylor wrote: As you get older, many/most people realize that owning more stuff does not bring happiness. It can actually be quite a distraction from all that is really important. Glad to see you cutting back and simplifying a little. That's part of the reason I constantly teeter/totter about owning another airplane. My goal is to own nothing except some money in the bank. My wife can own the rest. If I ever quit flying, and I'm almost there, I'm getting rid of my Tahoe. Owning stuff doesn’t bring happiness .. having financial freedom to decide if owning stuff bring happiness ( or not ) does though. Warmi wrote: Owning stuff doesn’t bring happiness .. having financial freedom to decide if owning stuff bring happiness ( or not ) does though. Financial independene is seldom acquired by screwing off as a young adult. To quote Bennet Cerf, and yes you gotta be a geezer like me to even know who that is, "I owe everybody, I got nothing, the rest I leave to the poor."